We have lots of logging roads in the Powell River backcountry to ride. But when they are deactivated and age, recreational users refurbish them to become quad or hiking trails. Here are a few from rides we've taken over the years. Culvert on a spur leading to a Olsen Valley homestead foundation. Corduroy road section on upper Powell Daniels Main. End of the easily passable section of upper Beartooth Main. Bridge protecting a fish bearing stream on Fred's Trail to West (Hammil) Lake. Crossing a section of regrowth along the Lois River north of Khartoum Lake. Log jumble on a road in an old slash above Chippewa Bay. Washout on Jim Brown Main at the Head of Powell Lake. If you try to find these quad trails don't be surprised if they've washed out or grown over. Mother Nature reclaims her territory at a very rapid rate. Trails like these stay open only witth ongoing trail maintenance by groups such as the Wednesday Crew of quad riders and the BOMB (Bloody Old Men's Brigade) Squad group of hikers and ATV owners. Thank you to all of the individuals and groups who maintain our backcountry trails. 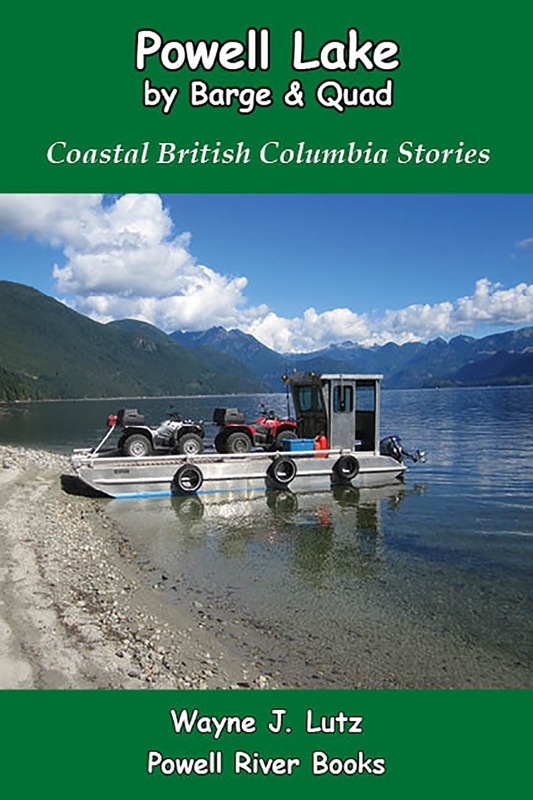 Through your efforts we all can explore the best that Powell River has to offer. 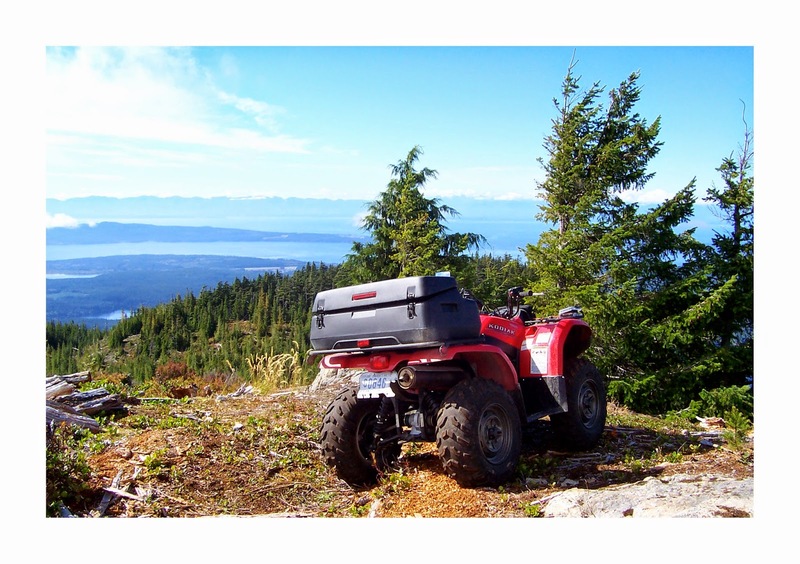 Want to know more about quad riding in the Powell River Region? Check out these resources. So much gold in that first shot that it makes me think of miners and mine shafts. About the photo you commented on at my blog: That picture made it on the front page of our local paper with a caption about even the cars bearing fall colors! What a great place to get away from it all. I've never ridden a quad bike but it sure looks like fun. Available Online: "Beyond the Main"